We will begin this workshop in the Garden looking closely at plant forms and shape to create a graphic image inspired by our collections. 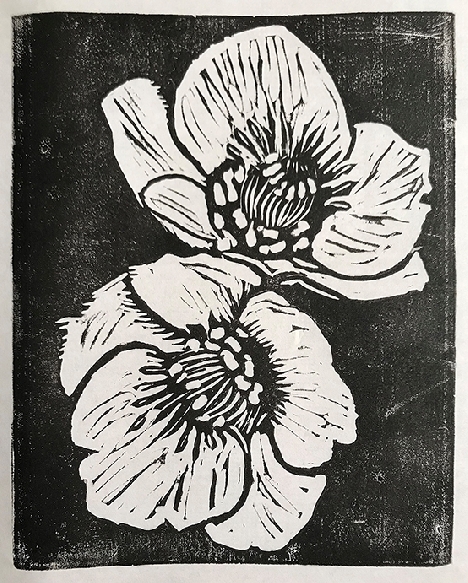 Erin will walk you through the process of translating your design to a woodblock or linoleum block for carving. Each student will get a small wood block, linoleum block, and a 3 piece carving set to use and keep. After we carve designs, well set up inking stations and pull several prints of your design. Printing ink and paper will be provided for use in class. Please bring a lunch and a sketchbook or drawing paper and a few pencils (at least one that is a 4B or darker pencil).